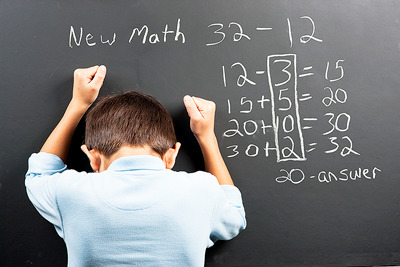 (NewsUSA) - Were you a math whiz growing up, or did you struggle and feel anxious at the mere mention of math? As a parent, you surely don't want your child to experience the same thing. "It's easy to help your child not only excel at math but also enjoy it," says Raj Valli, the founder ofTabtor Math, a tablet-based math learning program for K-8 children personalized by a dedicated tutor. "Create a math-friendly environment, make math a playful language and participate in an ongoing dialogue about math." Create a positive environment around math. Since children model the attitudes of those around them, speak positively about math (even hiding your true feelings). Say encouraging phrases like, "It's really cool that you can use math every day." Think about math as a language. Because children begin using language when they are very young, they don't feel the same anxiety about reading and writing as they do about math. To transfer this positive attitude over to math, approach math as a language, rather than as a "problem." Count things together, measure things together and talk about the numbers involved in any activity you are doing together. Don't worry too much about getting answers "right" or "wrong." Instead, help them think through the process of using math aloud, in words. Hold a math "dialogue" centered on everyday activities. Once your child is comfortable with thinking about math in language terms, ask at the supermarket how many cookies are in a package and how your child calculated this answer. She might refer to the size of the package or the size of the cookies inside. Whether right or wrong, it's important to emphasize the process used in her head to make the guess. This gets her thinking about math as a visual subject involving shape and volume, rather than just as numbers in a line. If you set the stage correctly, you'll find that your child enjoys math more than you did -- and then you can relax and enjoy your child's future success in the classroom. To learn more, please visit www.tabtor.com.